Georges-Henri Denys Arcand, CC GOQ (French: [dəni aʁkɑ̃]; born June 25, 1941) is a Canadian film director, screenwriter and producer. He has won an Academy Award for Best Foreign Film in 2004 for The Barbarian Invasions. He has also been nominated three further times, including two nominations in the same category for The Decline of the American Empire in 1986 and Jesus of Montreal in 1989, becoming the only French-Canadian director in history to receive this number of nominations and, subsequently, to win the award. Also for The Barbarian Invasions, he received an Academy Award nomination for Best Original Screenplay, losing to Sofia Coppola for Lost in Translation. During his four decades career, he became the most globally recognized director from Quebec, winning many awards from the Cannes Film Festival, including the Best Screenplay Award, the Jury Prize and many other prestigious awards worldwide. He won three César Awards in 2004 for The Barbarian Invasions: Best Director, Best Original Screenplay and Best Film, being the only Canadian director to have accomplished this. Arcand has directed three of the seven Canadian movies to ever receive an Academy Award nomination for Best Foreign Film and three films in the Toronto International Film Festival's 2004 list of the Top 10 Canadian Films of All Time. Arcand was born in Deschambault, Quebec, Canada. He grew up in a devoutly Roman Catholic home in a village about 40 km southwest of Quebec City. He attended Jesuit school for nine years. Entering his teen years, the family moved to Montreal and although he dreamed about being a professional tennis player, while studying for a Master's degree in history at the Université de Montréal he became involved in film making, which gave him a new sense of direction. During his university days, he and several friends would drive 600 km to New York City every few months to take in European films playing there that were not available in Quebec. In 1963, he joined the National Film Board of Canada where he produced several award-winning documentaries in his native French language. A social activist, he made a feature-length documentary in 1970 titled On est au coton (We work in Cotton) that showed the exploitation of textile workers. The film caused an uproar that resulted in it not being distributed publicly for several years. Arcand received such publicity that it gave his fledgling career a great boost. He also worked on some television series, notably Duplessis, a historical work he wrote (but did not direct) about Premier Maurice Duplessis. During the early part of the 1970s Arcand produced a number of feature films that received critical acclaim. Arcand returned to directing documentaries and did no work for television. In 1982, his documentary, Le confort et l'indifférence won the Best Film prize from the Quebec Film Critics' Association. In 1986 he wrote and directed what was until then the highest grossing film in Quebec (and Canadian) history, The Decline of the American Empire (Le Déclin de l'empire américain). At the Canadian Genie Awards, it captured best film, best director, and best writer of an original screenplay. It also won the "International Critics Prize" at the Cannes Film Festival and became the first Canadian feature film nominated for an Academy Award for Best Foreign Language Film. Three years later Arcand repeated this award-garnering performance with his widely acclaimed 1989 film Jésus de Montréal (Jesus of Montreal) winning the same three Genie awards, plus the "Jury Prize" at Cannes. The movie earned him a second Academy Award nomination, becoming the first Canadian director to accomplish this achievement. 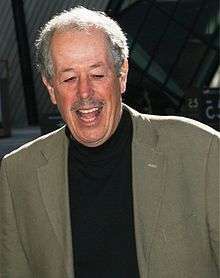 Arcand produced and directed his first English language film in 1993, titled Love and Human Remains, and did so again in 2000, with the film, Stardom, which opened the Toronto International Film Festival. He then spent two years writing the script for what many claim is his finest piece of cinematic writing to date, The Barbarian Invasions (Les invasions barbares). Released in 2003, the film won Arcand the Best Screenplay Award at the Cannes Film Festival, was nominated for a Golden Globe Award as Best Foreign Language Film and won the Academy Award for Best Foreign Language Film. In addition, Denys Arcand was nominated for an Academy Award for Writing Original Screenplay. The Barbarian Invasions won France's 2004 César Award for Best Picture and Best Director plus the César Award for Best Original Screenplay. Arcand's film Days of Darkness (L'Âge des ténèbres) was chosen to close the 2007 Cannes Film Festival. The press opening was subdued, as opposed to receiving a standing ovation as with The Barbarian Invasions and the subsequent reviews were mixed. 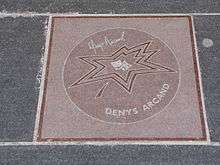 Arcand's star on Canada's Walk of Fame. In 1988, he was made an Officer of the Order of Canada and was promoted to Companion in 2005. In 1990 the Government of France awarded him the Legion of Honour. He finally earned from his home province one of its highest distinctions, the title of Knight of the National Order of Quebec, in 1990. In 1995, Mr. Arcand received a Governor General's Performing Arts Award for Lifetime Artistic Achievement. In February 2004, the government of France named Denys Arcand a Commander of L'Ordre des Arts et des Lettres, that nation's highest cultural honour. In 2004 Arcand was also inducted into Canada's Walk of Fame. Married a second time, neither Arcand nor Denise Robert, his producer/wife, have had children. He was 55 years old when they adopted an orphaned baby girl from China named Mingxia. His brother Bernard Arcand (1945–2009) was a professor of anthropology. His youngest brother Gabriel Arcand (b. 1949) is a noted Canadian actor. Denys Arcand is a lapsed Catholic. ↑ "Top 10 Canadian Films of All Time," The Canadian Encyclopedia, 2012, URL accessed 28 April 2013. ↑ "Festival de Cannes: L'Âge des ténèbres". festival-cannes.com. Retrieved 2009-12-20. ↑ "Denys Arcand - biography". Governor General's Performing Arts Awards Foundation. Retrieved 24 January 2014. ↑ "Members since 1880". Royal Canadian Academy of Arts. ↑ Donna Rosenthal, "THE PASSION OF DENYS ARCAND," The Washington Post, 22 July 1990, URL accessed 4 August 2016.